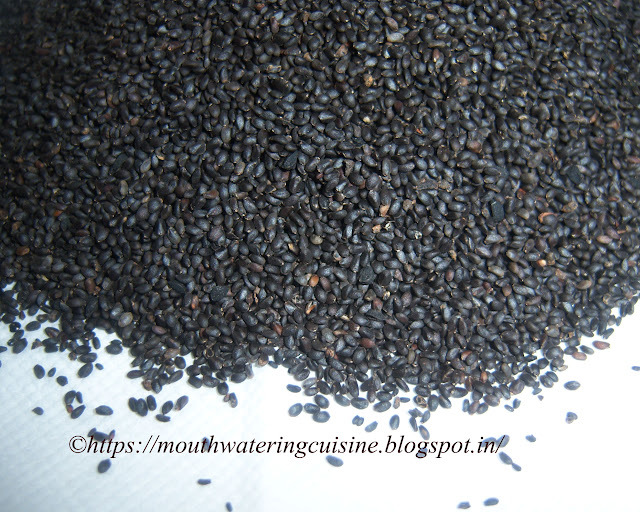 Sabja seeds also known as sweet basil seeds are very good for health. Health benefits of these seeds are tremendous. Anti-oxidant rich, helps in digestion, cools body and helps in weight reduction. Sabja seeds when soaked in water appear like tapioca on swelling, on bite crunchy and do not have specific taste rather bland. Falooda with sabja seeds is incomplete. These can be mixed with any sherbets, fruit juices or even mix them with coconut water also. We use them extensively during summer season. My mother-in-law would like to have plain sabja water in the season. Soak basil seeds in water for about ten minutes. Take the juice of 3 lemons into a small vessel. Add salt and sugar. Stir well till the sugar melts. 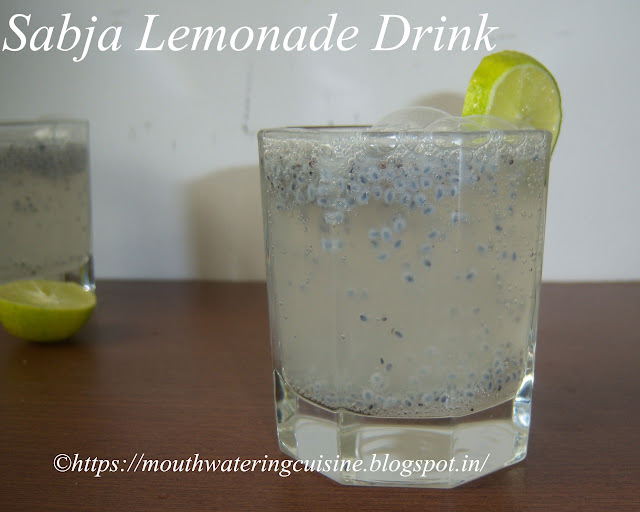 In a serving glass, put a spoon of basil seeds, add a spoonful of lemon juice. Stirring continuously, pour club soda. 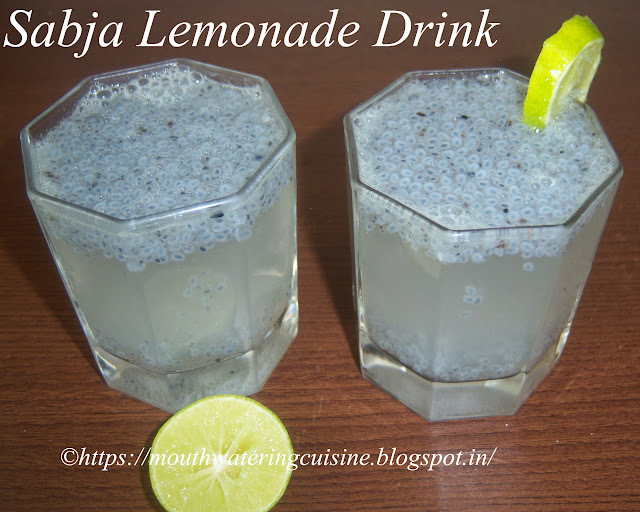 Serve chilled sabja lemonade immediately.